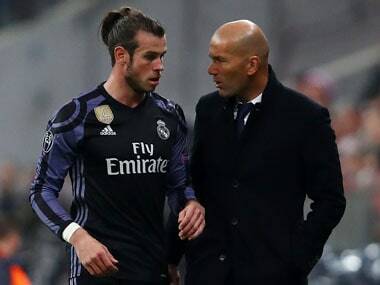 Real Madrid coach Zinedine Zidane singled out fit again Gareth Bale for praise on Tuesday as he prepares his side for a Copa Del Rey quarter-final return leg against Leganes. Welsh winger Bale produced a sumptuous strike to level against Deportivo La Coruna at the weekend as Real eventually romped to a confidence boosting 7-1 league win following a poor run of form. Bale has made just a handful of starts this season due to a series of muscle injuries that have seem him spend three months on the sidelines. 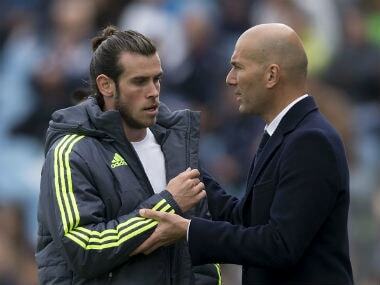 Zidane said Bale's brilliance and his brace of goals had lifted the whole club. 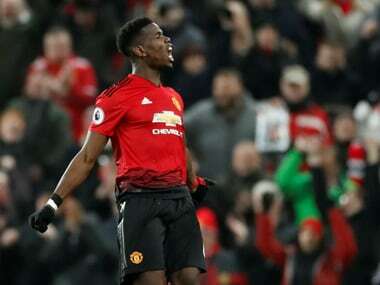 "What has changed for him is that he has no problems, nothing is bothering him," the Frenchman said ahead of Wednesday's match. "For a player, it's fundamental to have nothing holding you back in training. 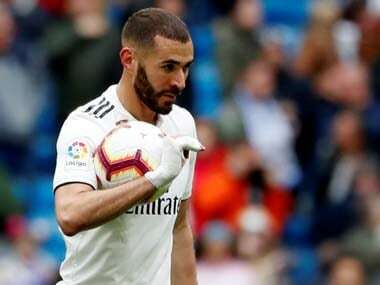 "He's improving his performances, he's a really important player and he's proving it," said Zidane, who's side trail Barcelona by 9 points in La Liga. "I hope he continues to do so, so that the team regains its confidence and we continue in this manner. "This is what's great about football, we are on a roll and we are hoping to carry on in the same style." Zidane did not say if Bale or Cristiano Ronaldo, who both suffered knocks on Sunday, would start the game but he did have news about Sergio Ramos's thigh problem. "He'll be with us tomorrow, we'll see about the line up closer to the time but he'll be there," Zidane said of the veteran defender.